The condition of this bridge breaks my heart a little. Built in 1907 and last rehabilitated in 1979, this concrete-arch bridge carries 30th Street over the White River in Indianapolis. But its railings are crumbling, and tall weeds grow through every crack in the pedestrian walkway. I suppose a city the size of Indianapolis can’t perfectly maintain all of its infrastructure. But we are fortunate to have a number of ornate concrete-arch bridges in our city, and I wish they were first in line for maintenance. It stands like a monument, this Art Moderne building on Indianapolis’s Northwestside. 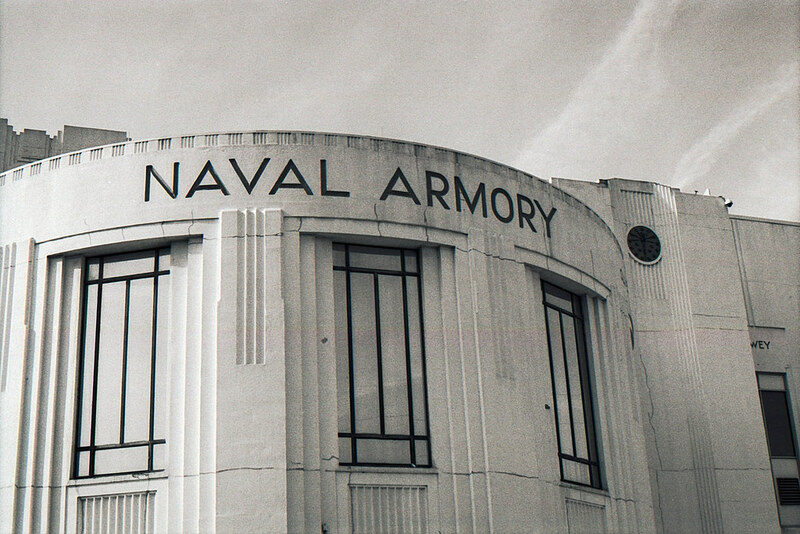 The first time I saw the Heslar Naval Armory was 20 years ago. I had a job Downtown and I drove I-65 every day to my suburban home. But a major project closed the highway for a couple months, and the detour led drivers west along 30th Street. 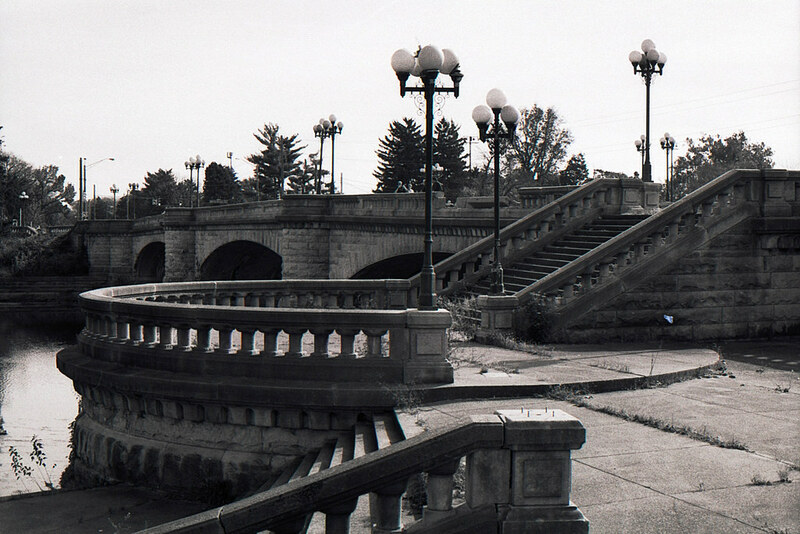 At the White River, 29th and 30th Streets share a bridge. The Armory is nestled where the street curves to meet the bridge. 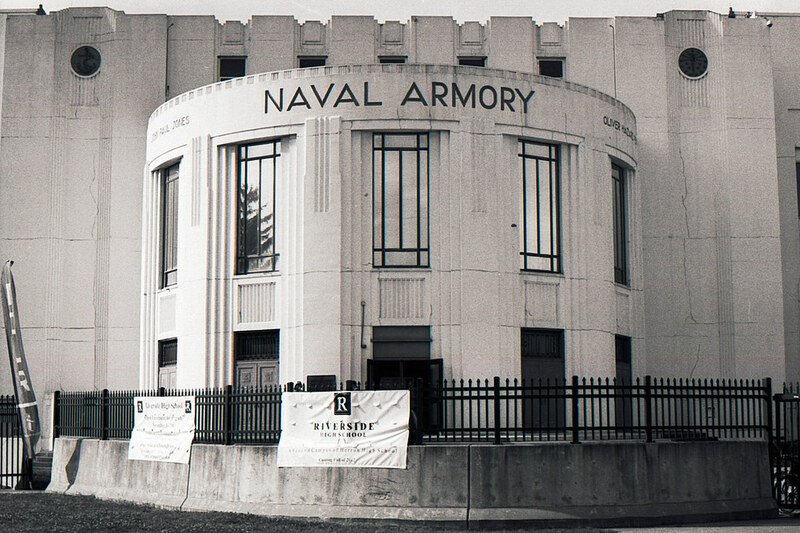 The armory was built in 1936 as a project of the Works Progress Administration (WPA), which was one of President Roosevelt’s New Deal programs. 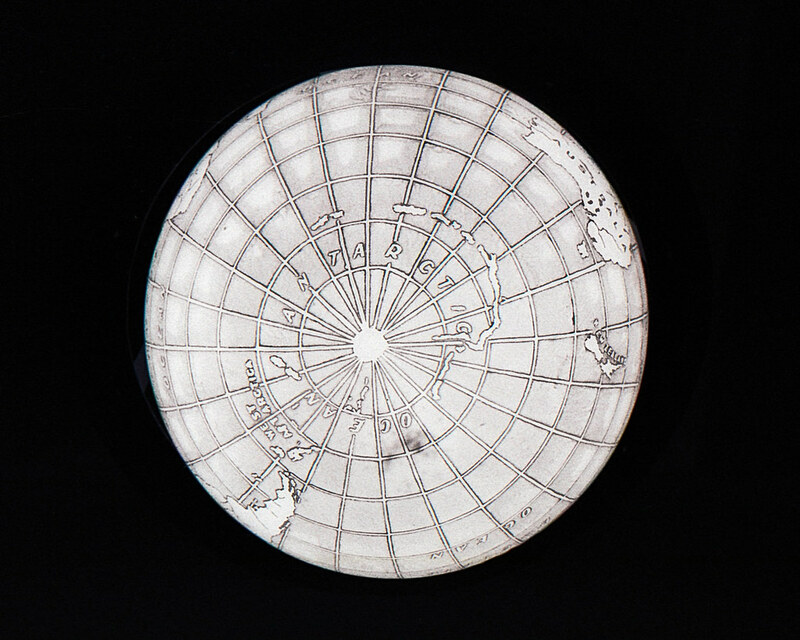 It was designed by architects Ben Bacon and John Parrish to serve as a naval training facility, offering everything a sailor would find on a ship. Walking through, every detail affirms the building’s naval purposes. 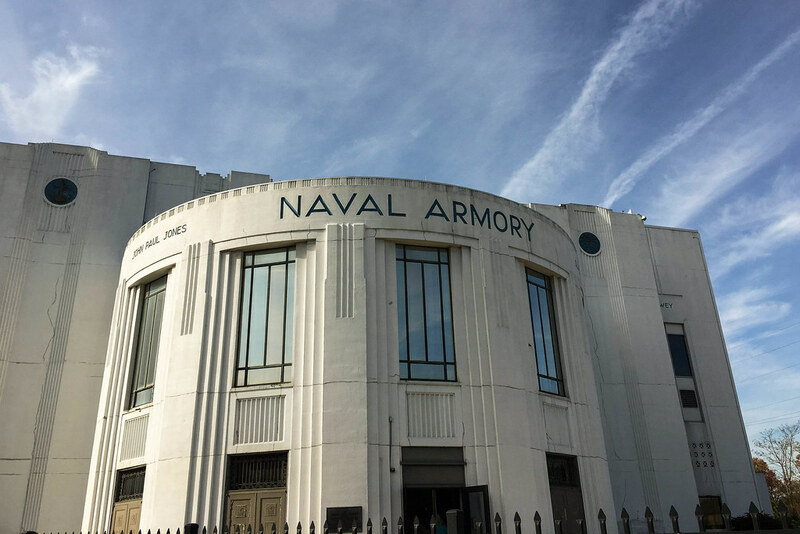 Perhaps the armory’s most important days came during World War II, when its inland location away from high surveillance on the coasts made it an attractive place for generals and admirals to plan their campaigns. Key portions of the Battle of Normandy were planned here. We toured the armory late last year thanks to Indiana Landmarks, which became involved with the building after the Navy (and the Marines, who in later years shared the space) decommissioned the building and moved out. Our tour took us through the mess hall. 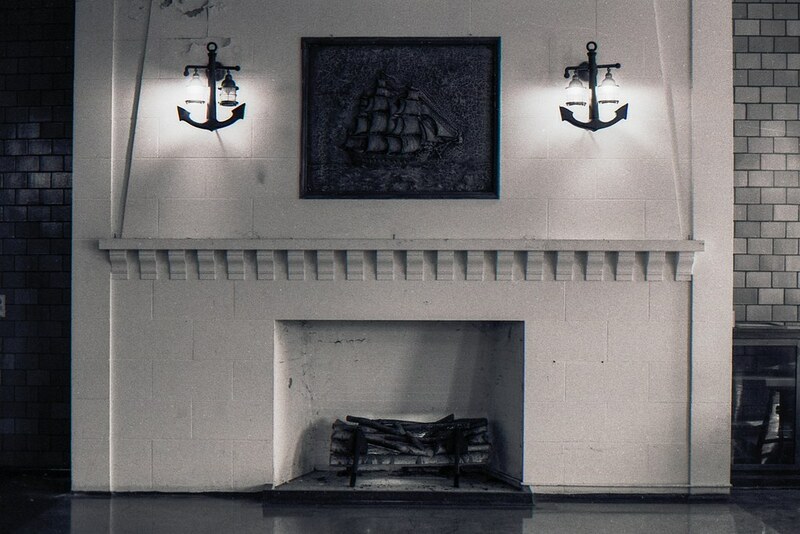 Tables and chairs had been removed, but the nautical decorative details were still in place. 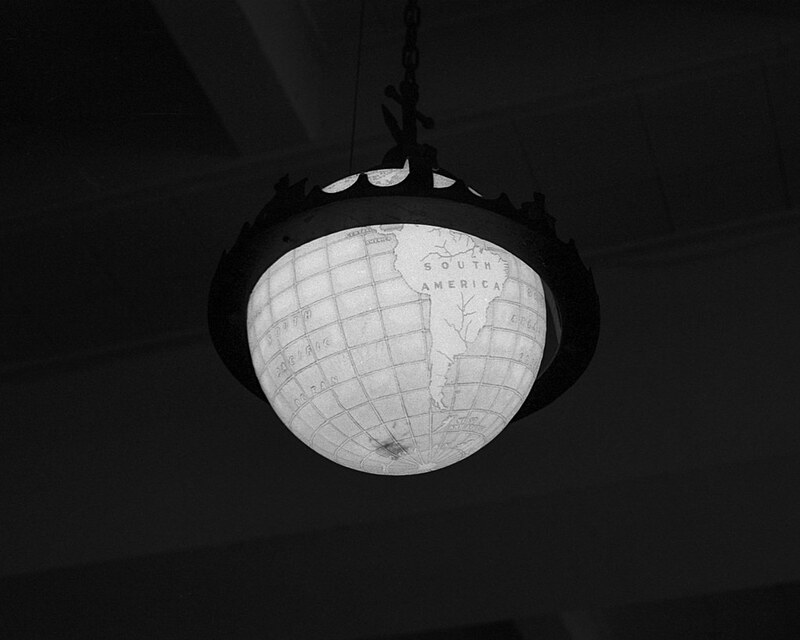 Even the mess hall’s light fixtures were cool: little globes. One more shot of the lights, because they’re so interesting. 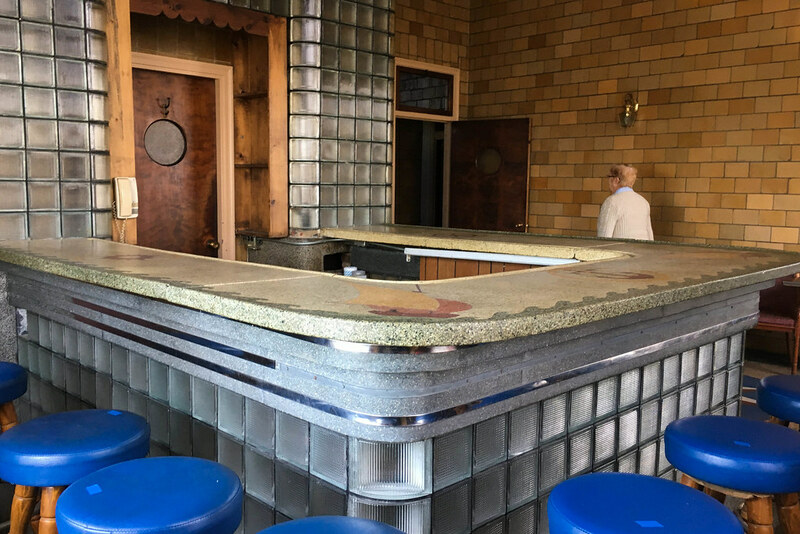 The third floor includes this little bar, a space for officers only back in the day. 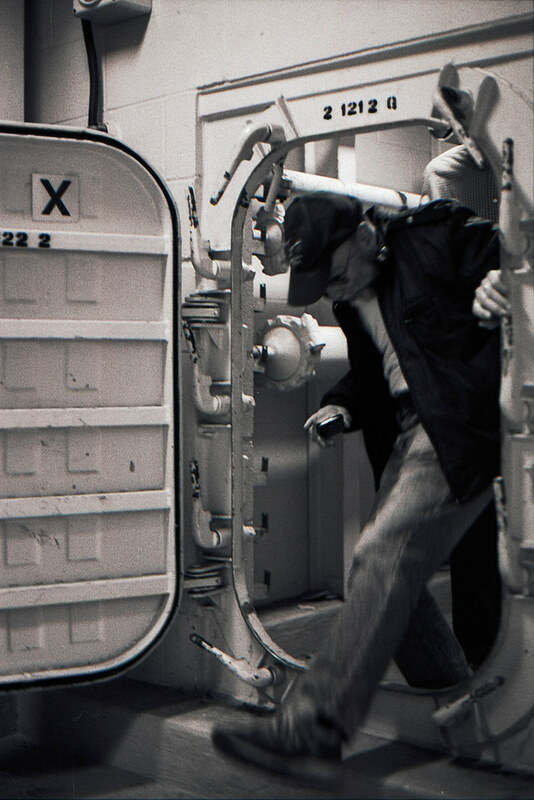 Notice the porthole windows in the doors. This was a feature throughout the building. Even the bar carried strong naval themes. 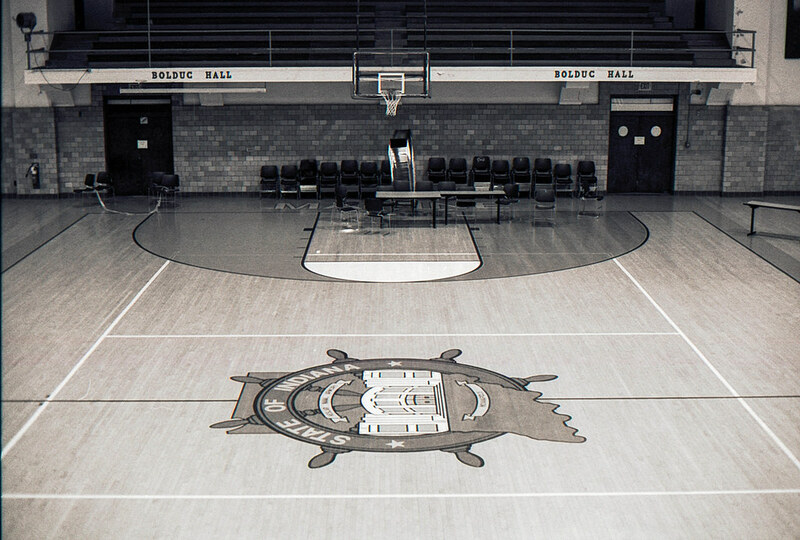 Much of the armory is given over to offices, but it does also include a gymnasium. 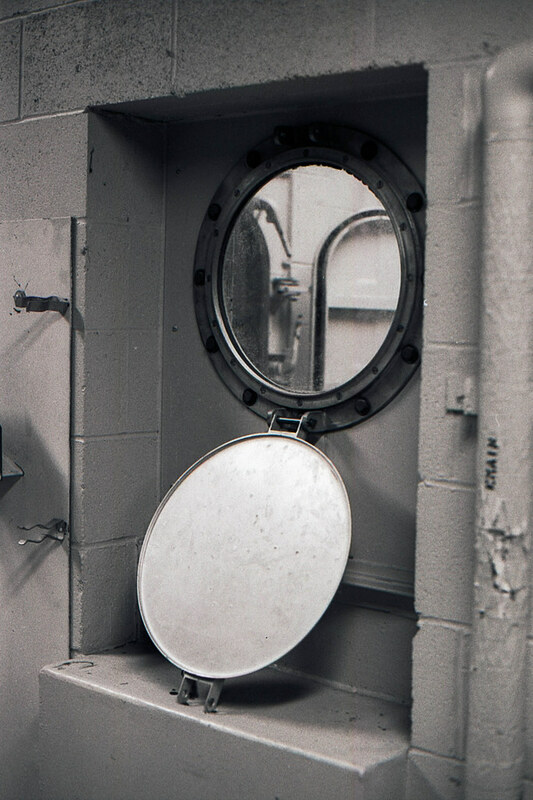 The deck on which I stood to take this photograph is an open bridge that was used in training exercises. I wish I thought to photograph it from below! The armory’s most remarkable feature was its submarine simulation area. It can be flooded! A training exercise apparently involved sailors trying to figure out how to stop water from coming in. It was a pretty cramped space, but our tour guide assured us that a submarine is even more cramped. This first-floor space even had steps and a hatch up to the second floor. It was cordoned off for us tourists, but I’m sure that sailors who didn’t figure out how to stop the water from coming in were grateful to have it. The armory is named for Ola Fred Heslar, born in Brazil, Indiana in 1891. His tour of duty with the Navy began in 1907 and continued into the Naval Reserves in 1922, where he was named Chief of Naval Affairs for Indiana. He oversaw the construction of this armory. Heslar returned to active duty during World War II and took command of the armory. He was promoted to Rear Admiral in 1944. He died in 1970. Indiana Landmarks brokered a deal for Herron High School, a classical liberal-arts college-preparatory charter school on Indianapolis’s Old Northside, to buy the building. Herron’s building has long been at capacity, and they wanted a second campus to carry on their mission. They’re renovating it now, including tearing out some interior walls, to open it as Riverside High School. Because Indiana Landmarks is involved, all construction will keep the building’s outstanding architectural features. Riverside High School hopes to take in its first students in the fall of 2017.
iPhone 6s and Canon A2e, 50mm f/1.8 Canon EF, Kodak Tri-X. 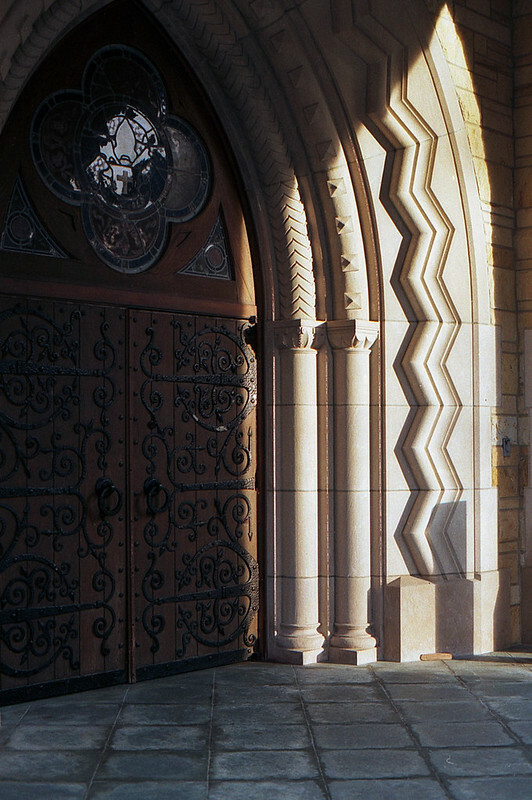 This is actually a teaser for a forthcoming post: I got to tour this place, a remarkable building in Indianapolis. Buying two failed Canon EOS Rebels wasn’t enough to kill my EOS desires. I really enjoy the 50mm f/1.8 lens I have for this mount and wanted a light body for those days I wanted to shoot it. 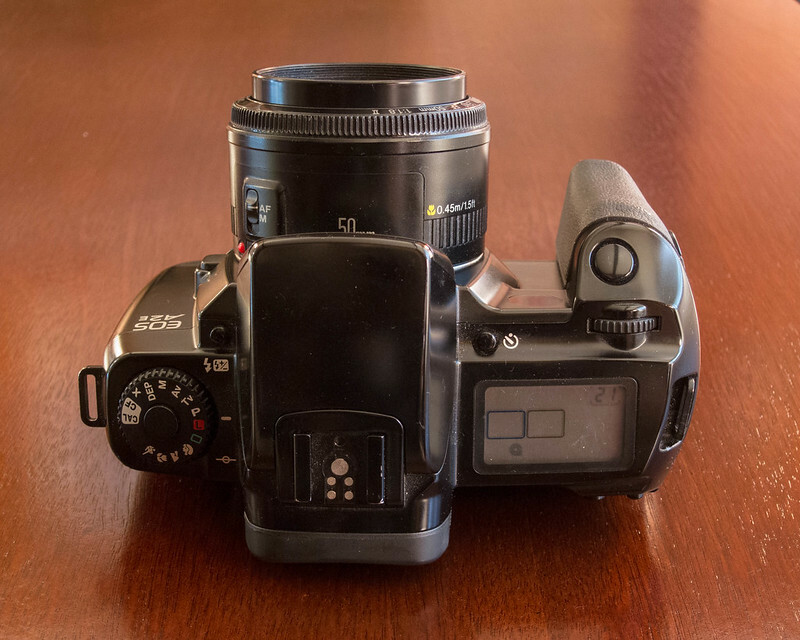 I still have my EOS 630 and EOS 650, but as early bodies in the series they feel crude and sluggish. And they’re larger and heavier than the Rebels I’ve unsuccessfully tried lately. And then a commenter on my Rebel S review mentioned how much he enjoyed the EOS A2e he had when they were new. It’s a semi-pro body, crammed full of features at a sky-high price: $1,200 upon its 1992 debut, which is equivalent to a little more than $2,000 today. So I went snooping around Used Photo Pro to see what they go for these days and found one for $27. That’s pennies on the dollar! I love a bargain, so I bought it. This camera (called the EOS 5 outside the United States) is every bit as big and heavy as those early EOSes. But it works quickly and smoothly in straight-up shooting, so I met at least half of my goals. The A2e features an electronic focal-plane shutter that operates from 30 sec. to 1/8000 sec. and shoots at 5 frames per second. The camera has all the modes you’d expect: programmed, aperture-priority, and shutter-priority autoexposure; full manual exposure; and special modes for macro, portrait, landscape, and sports. Two dials control aperture and shutter speed: the usual one (among EOS cameras) behind the shutter button, and a big one on the camera back. In program mode, the first dial cycles through the aperture/shutter-speed combinations that yield good exposure. In aperture- and shutter-priority modes, it selects the aperture or shutter speed, respectively. In manual mode, it selects shutter speed while the big dial on the camera back selects aperture. That big dial apparently controls other things, too — such as letting you choose among evaluative, center-weight average, and spot metering — but I didn’t plumb its depths. Actually, I avoided using it. It’s awkward to use while the camera is at your eye, and the forums and reviews all over the Internet say it’s prone to failure anyway. I imagine this was a point of real frustration for people who relied on the camera back in the day. But for me, shooting casually, it was easy enough to stick to exposure modes that avoided needing to use the back dial. You get two additional modes with the A2e. The clever DEP mode makes you focus twice, on something close and something far away; the A2e then ensures that everything in between is in focus and properly exposed. The Green Zone mode (the green rectangle on the mode dial) is similar to Program mode except that it blocks all adjustments, turning the A2e into a point-and-shoot SLR. The A2e reads the DX coding on the film cartridge to set ISO from 25 to 5,000, or you can set it manually from 6 to 6,400. The A2e also features eye-controlled focus — that’s the e in A2e. 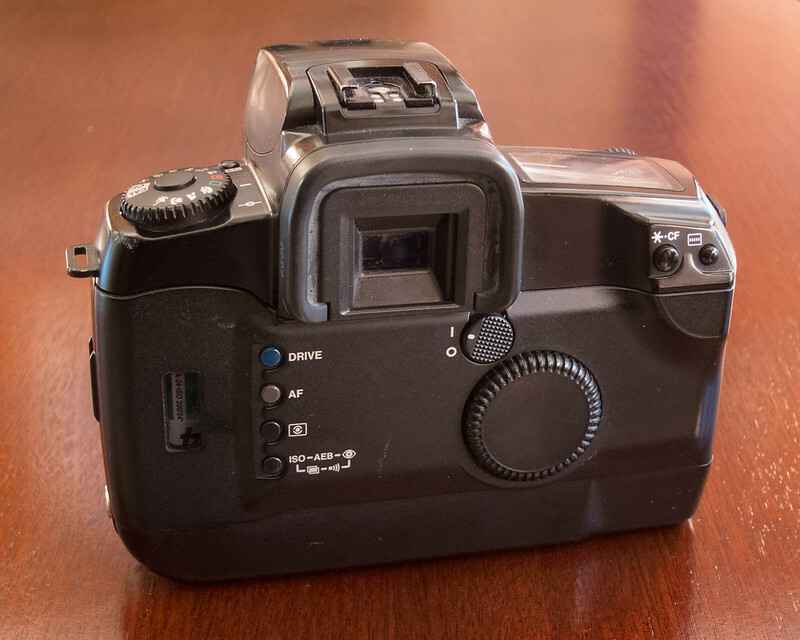 Canon’s EOS A2 is the same camera without this feature. The viewfinder contains five focus points. With this feature turned on, when you look at what you want to focus on the camera tracks your eye, grabs the focus point closest to where you’re looking, and focuses on what’s there. Even after I set it up as the manual directs, I couldn’t make this feature work. I don’t care. It’s a gimmick feature that I wouldn’t use anyway. 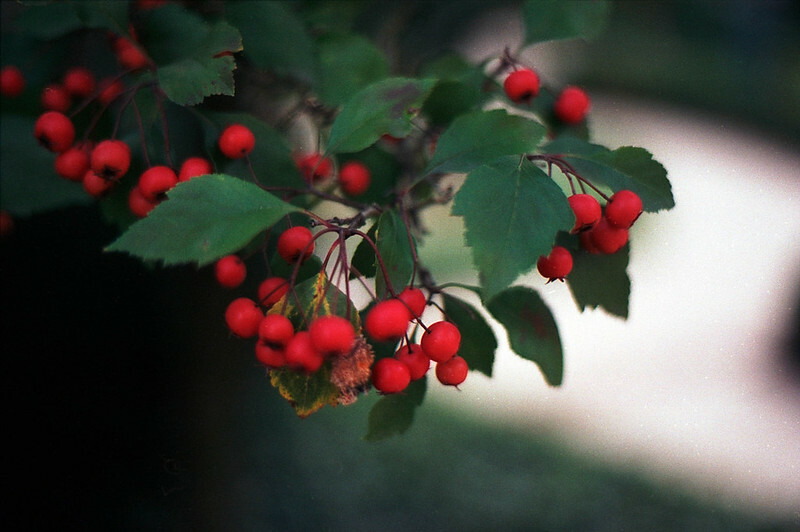 I dropped in a 2CR5 battery and some Fujicolor 200, mounted the 50mm f/1.8 Canon EF lens, and headed out to shoot. My first stop: the Episcopal church over on Meridian Street. 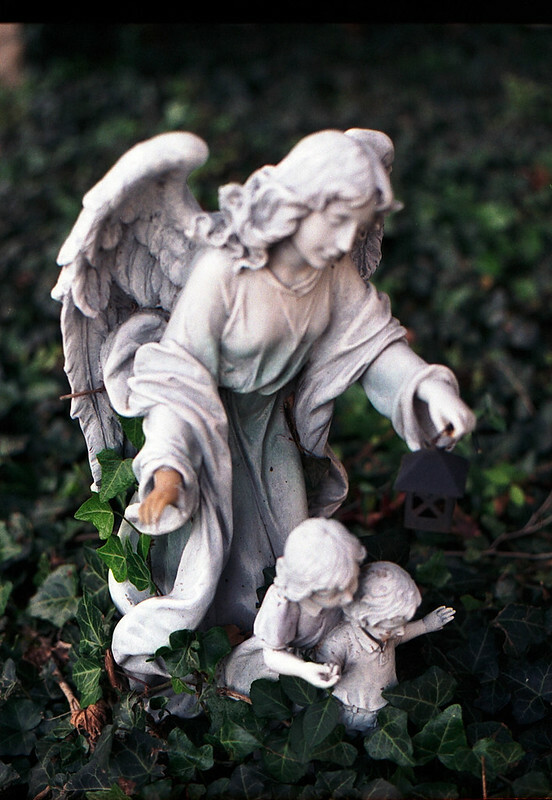 It’s one of the places I regularly go to test old cameras as it has lots of interesting subjects at various distances. The A2e performed well. Just look at the clarity and color it returned! It was early evening and light was fading. I was shooting in Program mode, and the A2e was giving me as much depth of field as it could in the available light — so much, I feared I’d get no bokeh. So I dialed in bigger apertures. I wound up with a very narrow in-focus patch on several shots. I should have backed off a stop or two. But at medium and long distances, everything worked out fine. The A2e metered light brilliantly, returning fabulous, sensitive shadow detail in contrasty situations. I can’t get over the great color I got. 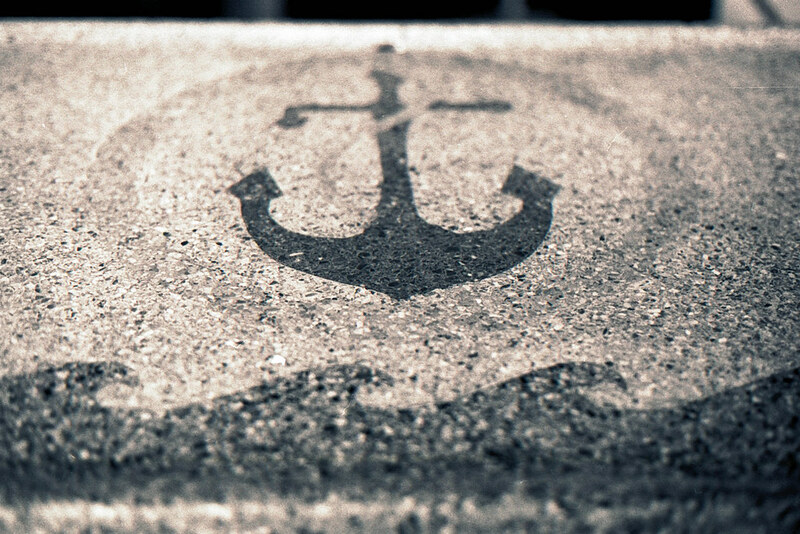 This is one of the first rolls of film I scanned on my flatbed scanner. I’m used to a certain greenish caste from Fujicolor 200, and I didn’t get it at all here. I did get more grain than I’m used to, though. I wonder if what I’m used to is Fujicolor 200 as scanned by the Noritsu scanners most labs seem to use. 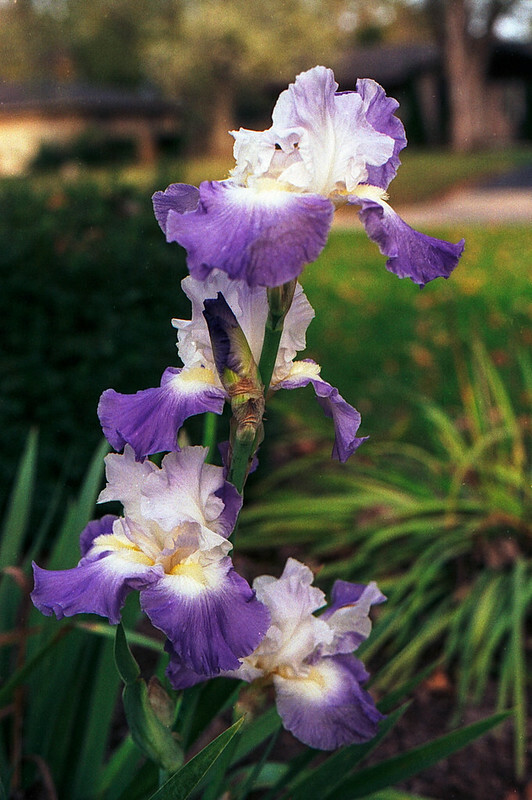 This is Fujicolor 200 as scanned by an Epson V300. 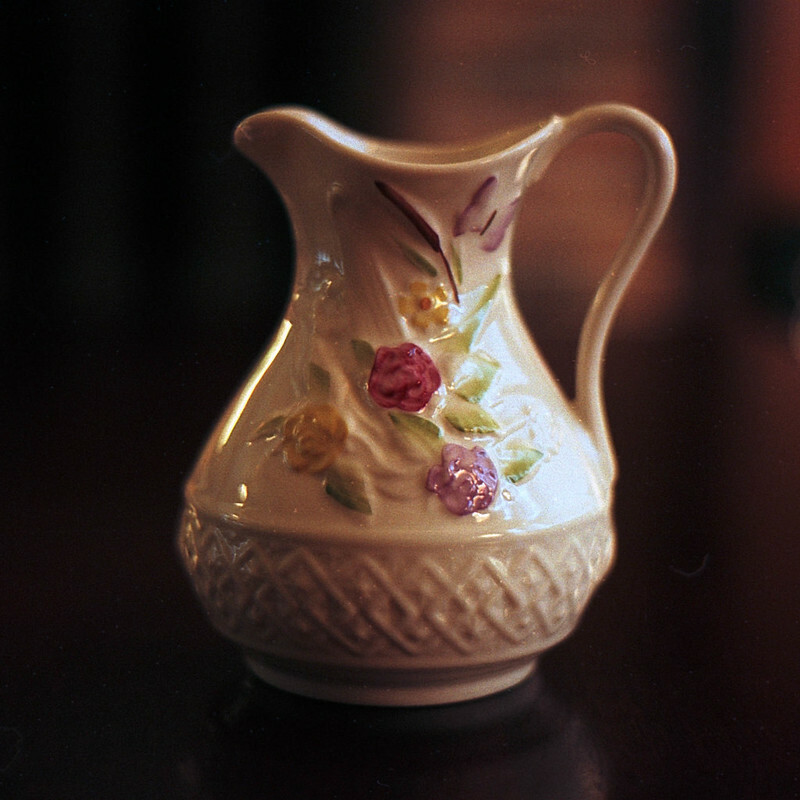 I put the A2e on a tripod and photographed this Belleek pitcher on my coffee table. 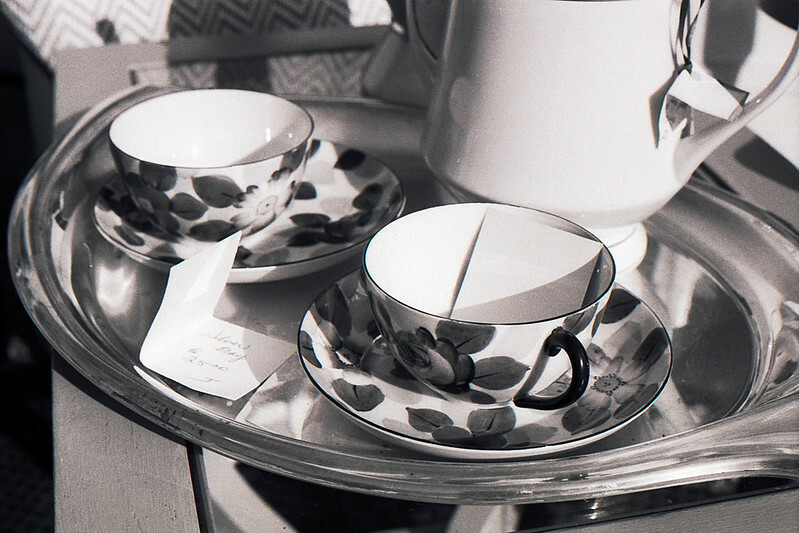 Margaret and I visited the Belleek factory while we were in Ireland and bought a few pieces there for our home. I really enjoy shooting objects close up in low light, but many of my old cameras just don’t do it well. The A2e handled it like a pro. Do you remember how when David Letterman enjoyed one of his guests, he’d invite him or her to stay past the commercial break? Do you remember how seldom it happened? It was a high compliment to the guest. 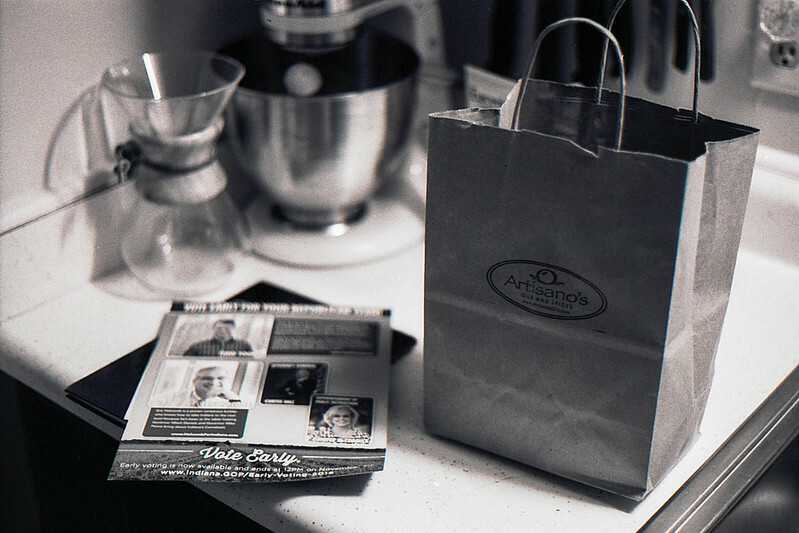 Sort of like Letterman, I seldom test a camera beyond one roll of film. On that rare occasion I seriously enjoy one, I’ll go for a second roll. Upon finishing the Fujicolor, I immediately loaded some Kodak Tri-X and kept going. 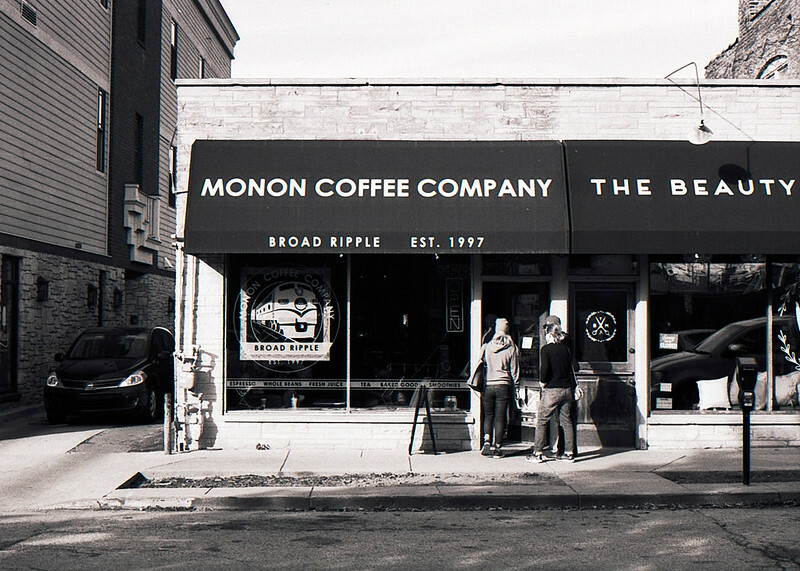 I shot most of the roll on a day out with Margaret, which included visiting a little curiosity shop in Broad Ripple. I love vintage mechanical and electronic items. 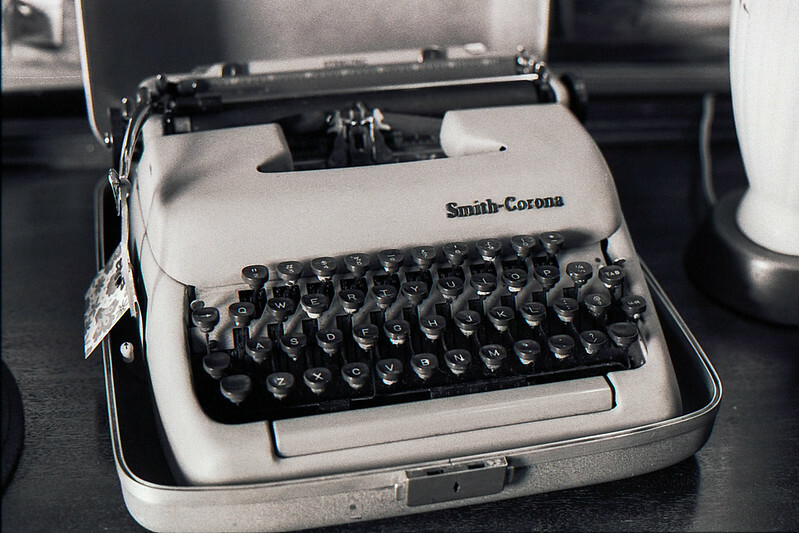 If I had money and space, I’d collect typewriters. And radios and televisions. Oh gosh, televisions! Margaret is grateful that I lack money and space. The cameras I have stuffed into every nook and cranny are more than enough. This is my favorite coffee shop in Indianapolis. I used to go over there on Saturday mornings with a pen and a notebook and freewrite while I sipped whatever varietal they had on the brew. No frilly coffee drinks for me: I take mine black. Somehow I haven’t been in there for three years. I must rectify this situation. 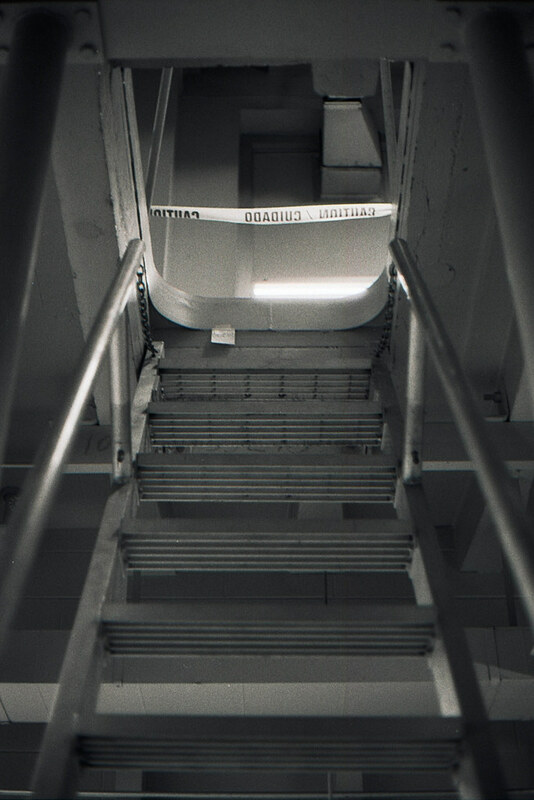 I finished up the roll with a few la-de-da shots around the house. I must have the most-photographed home in Indianapolis. 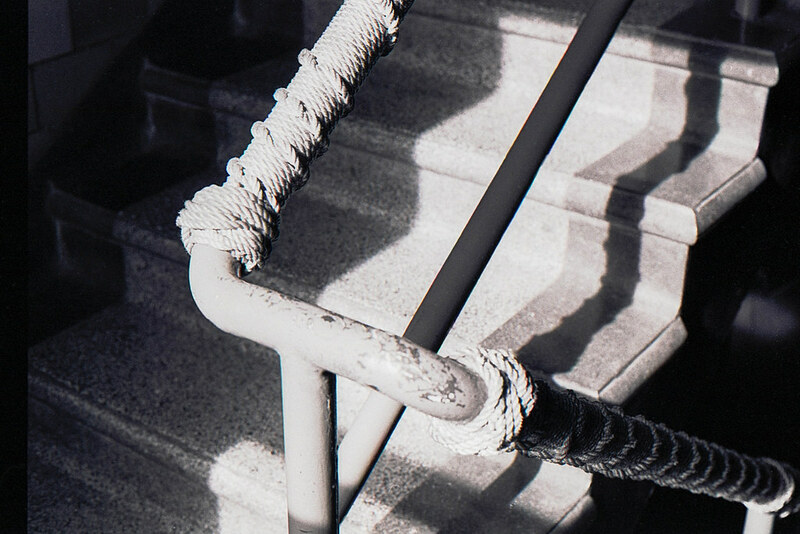 To see more of my photos from these rolls, check out my Canon EOS A2e gallery. 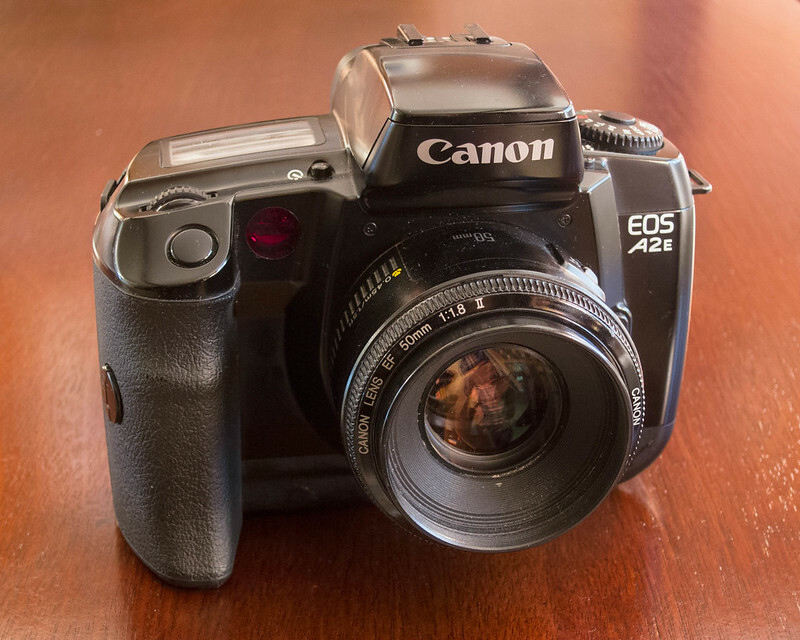 The Canon EOS A2e is not just a well-featured instrument, it’s great fun. For most everyday shooting, you don’t have to use the cumbersome controls. Just dial in P, or Av and have your finger ready on the wheel, and enjoy pleasant shooting. If it weren’t for that awkward and failure-prone back dial, this camera would be truly great. My Nikon N90s, a similarly featured camera from the same era, lacks this fundamental flaw and feels more solidly built. When I hanker to shoot a well-featured auto-everything camera, it’s the one I’m going to reach for most often. But for those times I really want to shoot this wonderful Canon lens, I’ve found my forever body.